Foliage: stems often have four sides, flat, concave or convex and usually has glandular hairs.leaf arrangement is opposite. Leaves can reach 3 inches in length; fine sharp teeth, linear, lanceolate or oblong. 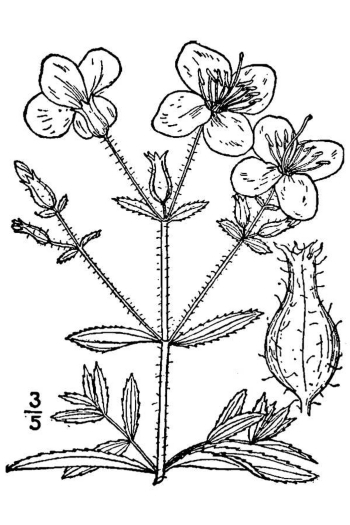 Habitat: Open areas, moist at least in the spring. Often on disturbed sites. Range in New Jersey: Common in moist sandy ground throughout the Pine Barrens, Cape May peninsula, and western part of the Middle district, occasional on the coast. Misc. 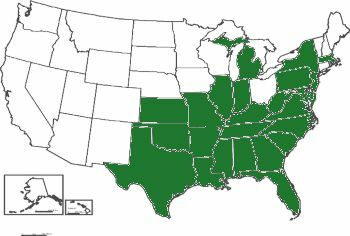 USDA lists as an obligate wetland species, i.e., Occurs almost always (estimated probability 99%) under natural conditions in wetlands. 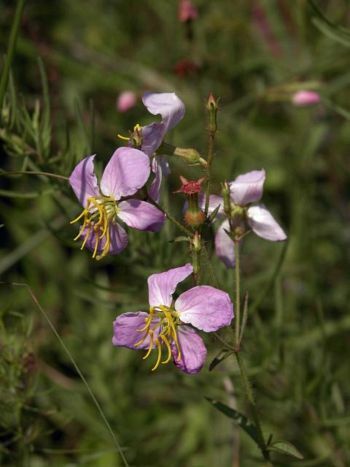 Rhexia, From the Greek rhexio, (rupture); referring to the belief the plant had curative benefits for ruptures; mariana, of Mary (Maryland? ).